Title: "Chicago International Art Expo"
Sheet Size: 39.5" x 27.5"
Robert Motherwell was born January 24, 1915, in Aberdeen, Washington. He was awarded a fellowship to the Otis Art Institute in Los Angeles at age 11, and in 1932 studied painting briefly at the California School of Fine Arts in San Francisco. Motherwell received a B.A. from Stanford University in 1937 and enrolled for graduate work later that year in the Department of Philosophy at Harvard University, Cambridge, Massachusetts. He traveled to Europe in 1938 for a year of study abroad. His first solo show was presented at the Raymond Duncan Gallery in Paris in 1939. A solo exhibition of Motherwell’s work was held at Peggy Guggenheim’s Art of This Century gallery, New York, in 1944. 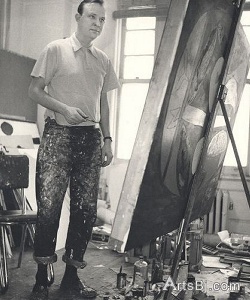 In 1946, he began to associate with Herbert Ferber, Barnett Newman, and Mark Rothko, and spent his first summer in East Hampton, Long Island. 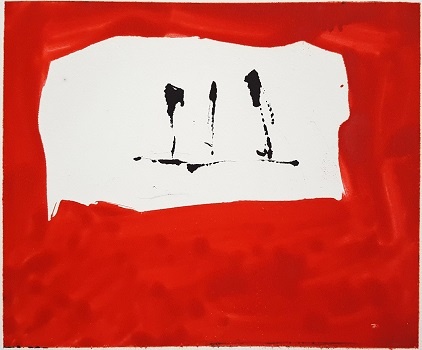 This year, Motherwell was given solo exhibitions at the Arts Club of Chicago and the San Francisco Museum of Art, and he participated in Fourteen Americans at the Museum of Modern Art in New York. The artist subsequently taught and lectured throughout the United States, and continued to exhibit extensively in the United States and abroad. A Motherwell exhibition took place at the Kunsthalle Düsseldorf, the Museum des 20. Jahrhunderts, Vienna, and the Musée d’Art Moderne de la Ville de Paris in 1976–77. He was given important solo exhibitions at the Royal Academy, London, and the National Gallery of Art, Washington, D.C., in 1978. 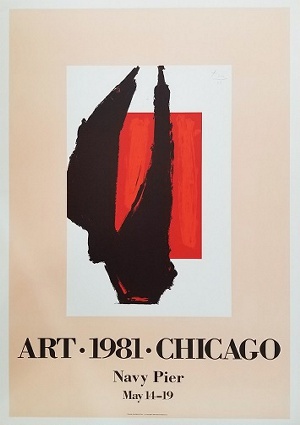 A retrospective of his works organized by the Albright-Knox Art Gallery, Buffalo, New York, traveled in the United States from 1983 to 1985. 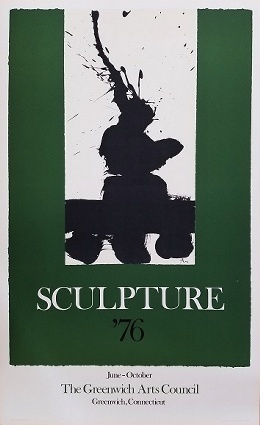 From 1971, the artist lived and worked in Greenwich, Connecticut. He died July 16, 1991, in Cape Cod, Massachusetts. 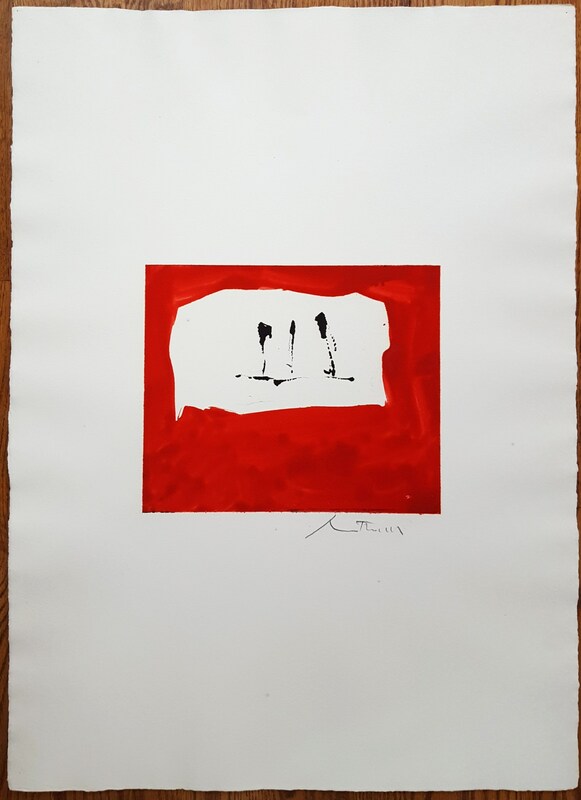 Sheet Size: 37.25" x 23"
Title: "Untitled (Phoenician Red) (M76-9)"
Sheet Size: 30.75" x 22.25"